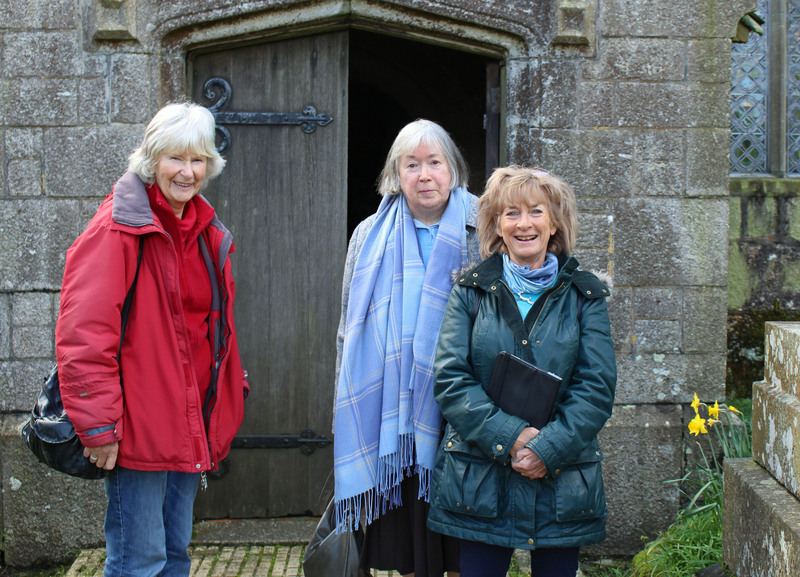 More than 20 West Cornwall DFAS members spent a delightful day today touring Madron Church and Zennor Church with historian Dr Joanna Mattingly (Jo). We started the day by fortifying ourselves with cappuccinos and lattes at the café at Trengwainton. 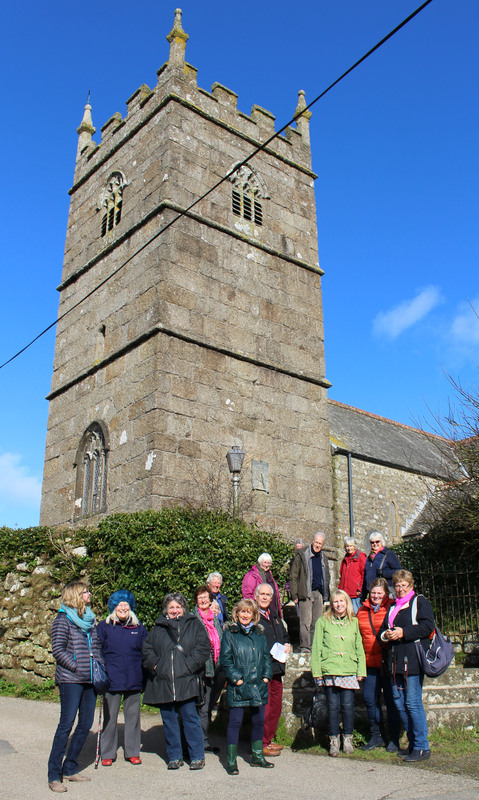 From there, we made the quick journey up the road to the lovely Madron Church. 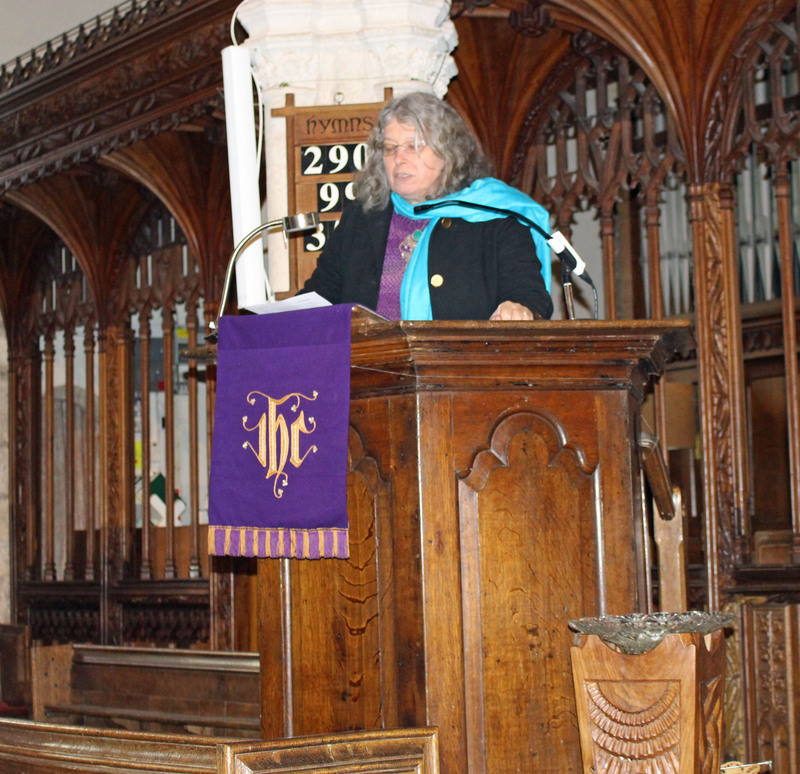 Here, Jo took to the pulpit and gave us a brief history of the church, pointing out some of its most important features. 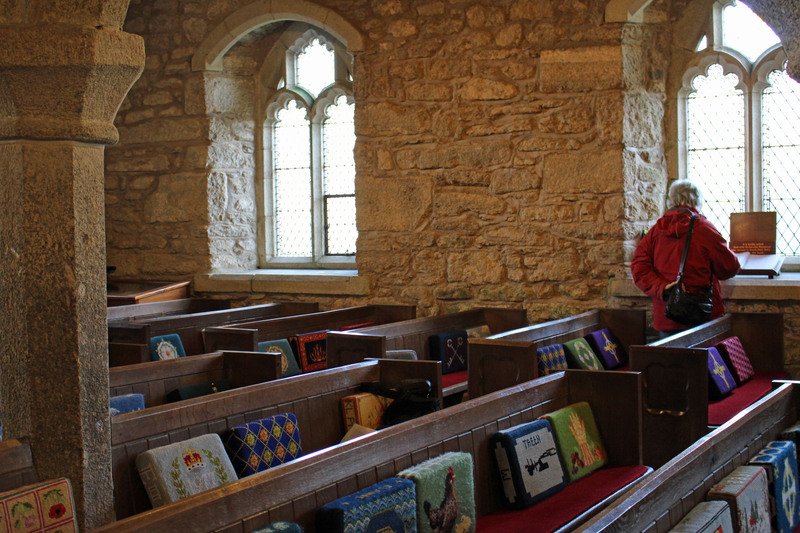 We heard the early Madron Church may have had only lean-to aisles, and we learnt about the wooden sash windows with which the Georgians replaced the medieval tracery from the church’s windows. 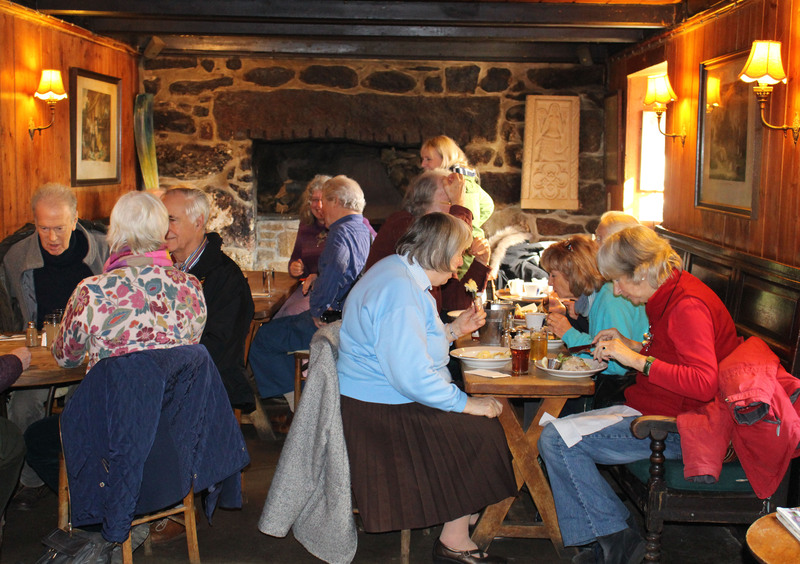 After a good wander around the church, we then set off for Zennor and a good pub lunch at the Tinner’s Arms. We walked to the church in bright spring sunshine! Inside Zennor Church, Jo gave us another ‘sermon’ before exploring the church with us and answering all of our questions. We saw the granite columns and compared them with Madron’s decorative limestone columns; this is one of the ways we know Zennor was a relatively poor parish compared with Madron. Though very different from each other, the two churches are both beautiful. We all appreciated Jo’s insight and knowlege and learnt so much we hadn’t known before!